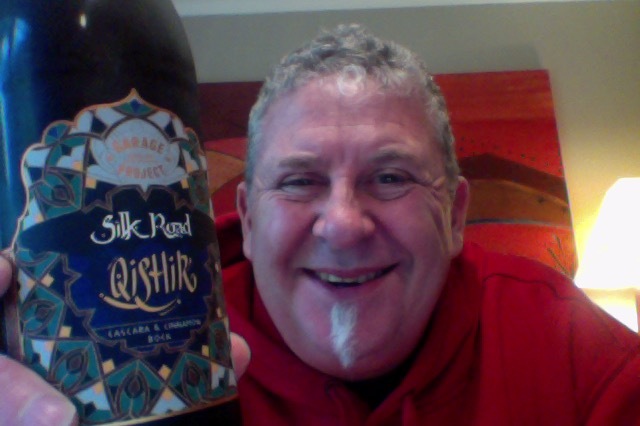 Garage Project Qishir. A Dunkler Bock with additions. A Sunday beer and vinyl music day of course, and I’m looking forward to both. From people who know I understand this series of beers is favour heavy and much more then normal. Who knew GP would go that far? This 650 ml bottle of beer that is at 6.8% ABV has around 204 calories a serve size, and is about 3.5 Standard drink units. For refreshment as we stop in the middle east we have Qishir. Traditionally a tea, instead we’ve brewed a rich bock beer flavoured with cinnamon and Cascara, the dried ‘cherry’ that surrounds the coffee bean. The result balances delicate coffee fruit and cinnamon in a way that makes you feel that these unusual ingredients belong together in a beer. Aroma initially seems more towards a cider sourness than anything, then it settles as the heavy malt that you’d expect from a Bock style kicks in. Pour isn’t as rich coppery brown as I expected, but I was delighted by the head that is thick firm and full on the top. The whole looks lovely orange brown and slightly cloudy. It’s a properly nice looking beer. Oh my goodness that’s amazing! Wow, you go a long time between beers to get one like this. The taste is of course the cinnamon but it’s perfect, almost too good to be true soft subtle and just kissing on the palate. The only down side is that neither things make the aroma, which is mostly the malt note. Ah man you could get quite attached to a beer like this, it really does, today, here, fit exactly to what I want to drink, there’s nothing that is off-putting, a stretch, a frown or difficult about this as a beer. It really does have the things it says it does and they are easy to taste, but they’re also restrained and in balance, and that there is a trick. The pdubyah-o-meter rates this as 10 of its things from the thing. A beer that for me that meets the bar of being brilliant. It looks great and it drinks brilliantly. It surprises you from the get-go with an understated aroma, and looks pretty as a picture in the glass. A beer I quaffed my way though in both excitement and joy, then a stark realisation of what I’d done and abruptly stopped to take stock and ponder, and that was the hard part. Would I have another? If I can get one I’m going to get one. Would I share with a friend on a porch and set the world to rights? Yes. This might challenge some with the cinnamon but given a few moments and thought the coffee part becomes apparent and the both combine to bring forth a glass of sunshine. It really is that good. 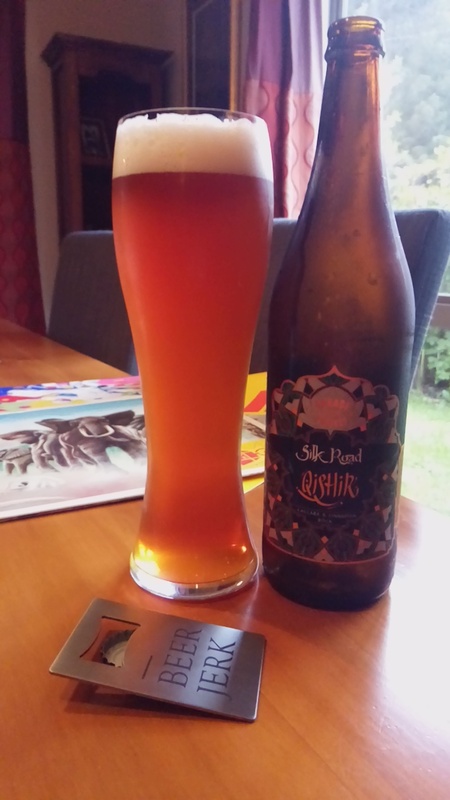 This entry was posted on August 13, 2017 by Philip Walter in Beer, Beer of New Zealand, Beer Review, Brewed By, Craft Beer, Critic, Dunkler Bock, Garage Project, Vinyl and tagged Beer and Vinyl Music, Cinnamon and Cascara, craft beer, Dunkler Bock, Garage Project, Garage Project Qishir.